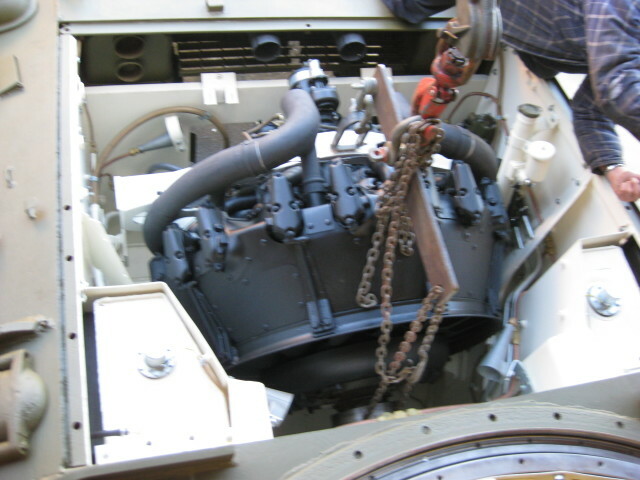 The Wheatcroft Collection’s rare American Sherman M4 105mm tank is nearing completion. 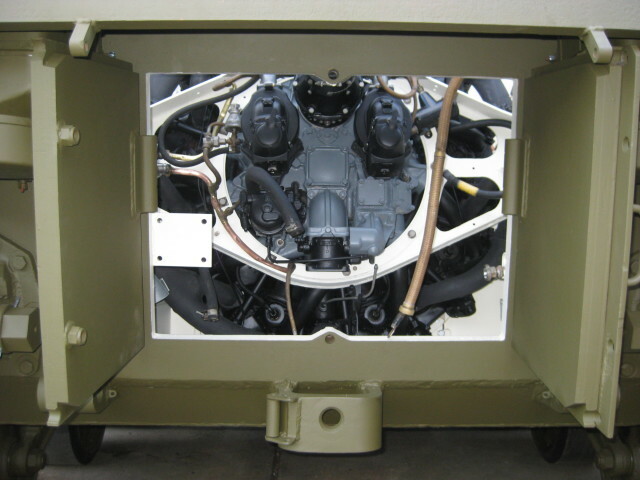 Pictures show the freshly restored 9 cylinder radial engine being dropped into the engine compartment. The tank is expected to receive its turret and tracks in preparation for its test drive early this summer before joining its stablemate at the Wheatcroft Collection at Donington Park. 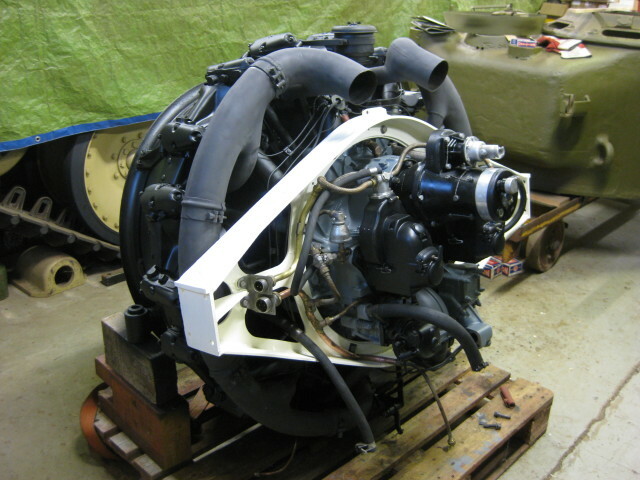 So, watch this space for updated pictures of the final stages of the 105’s restoration. The Wheatcroft Collection in the United Kingdom is a large and important collection of historical softskin and armoured military vehicles. It is one of the largest private collection of military vehicles in the world. The collection has around 200 items, including more than 130 vehicles, of which 88 are tanks.The majority of the collection is of German, American and British origin, with a smaller number of vehicles from, Japan, France, and Russia. 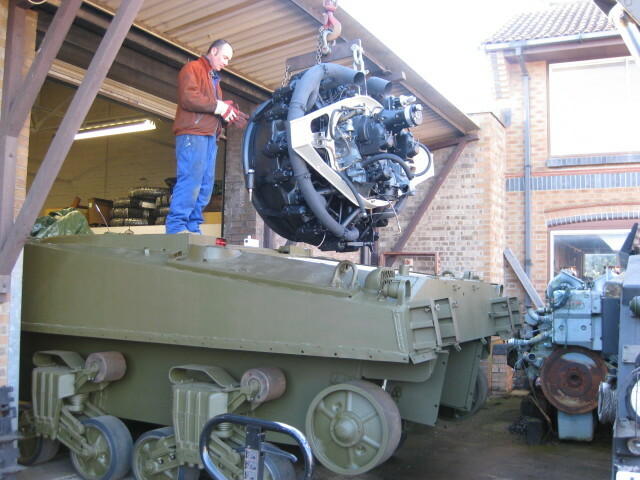 The owner of the collection, Kevin Wheatcroft, has been collecting military vehicles for over 40 years. The collection is perhaps notable for having a number of extremely valuable and rare Second World War-era German military vehicles, including a number of Panther tanks, one of which is close to full restoration. A number of rare Tiger tanks, both I and II as well as StuG assault guns, Panzer III’s, and a Panzer IV tanks. The collection is also working on restoring the only surviving German S Boat, the S-130.